Acumen Air Cargo is dedicated to finding a solution to suit your cargo needs. Need To Get Your Cargo Somewhere? Be it import or export, Acumen will care for your shipment through to the end. Using our network of partners and co-loaders we offer a full range of FCL and LCL shipments with competitive pricing. Import and export services are available and using our network of global partners, we can also offer customs clearance and delivery to consignee door services. Acumen is a fully accredited member of IATA and BIFA organisations. This means we have access to all airlines, so we can select the best carrier and service for our customer’s requirements. We have a fleet of nationwide trucks that will collect at a time suitable to our customer. Acumen offer a varied range of courier services to our customers to meet any demanding time constraints. 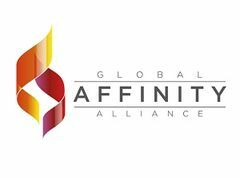 Acumen are a full member of the worldwide Global Affinity Alliance network (GAA) giving us a network of experienced and established Global partners, allowing us to offer all types of logistics services from anywhere in the world, by all modes of transport. Acumen Air Cargo is a fully IATA/BIFA accredited forwarder with overseas partners on nearly all continents allowing us offer customs clearance and delivered to door services to all major worldwide gateways and some more obscure destinations that other forwarders cannot offer. Our network of partners also gives us access to competitive rates back to the UK, and cross border services.